Nepalese Community Center (NCC) is an underway constructive project of Ridgewood Nepalese Society. The building of this center (Fig. 1) is proposed to build in the recently purchased land – 1647 Hancock Street, Ridgewood, NY 11385. The Center will serve all the Nepalese and heritage mostly residing in New York City metro area. 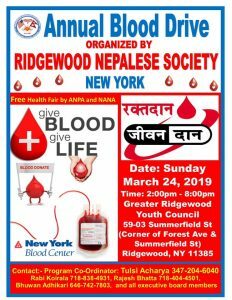 Currently, the estimated number of Nepalese in NYC is around 20,000, and there are about 2,000 Nepalese living in Ridgewood area within few blocks Putnam Ave and Myrtle Ave. This number in Ridgewood was around 100 at the end of 2003 and it is projected to grow more rapidly in the future. 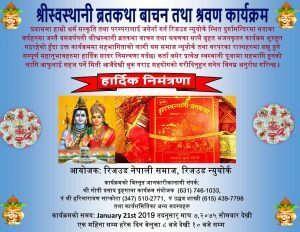 There are more than 500 donors of NCC project which was mainly started from Dashain Curtural Program 2009 and Maha Puran (a seven-day long Hindu holybook – Shreemad Vagawat readings) held during August 9-15 in 2010 in NYC. Those charity events raised little more than $.5 million including pledge commitment.